LEARNING ENCOMPASSES ALL THE SENSES. Learning with your head and heart. 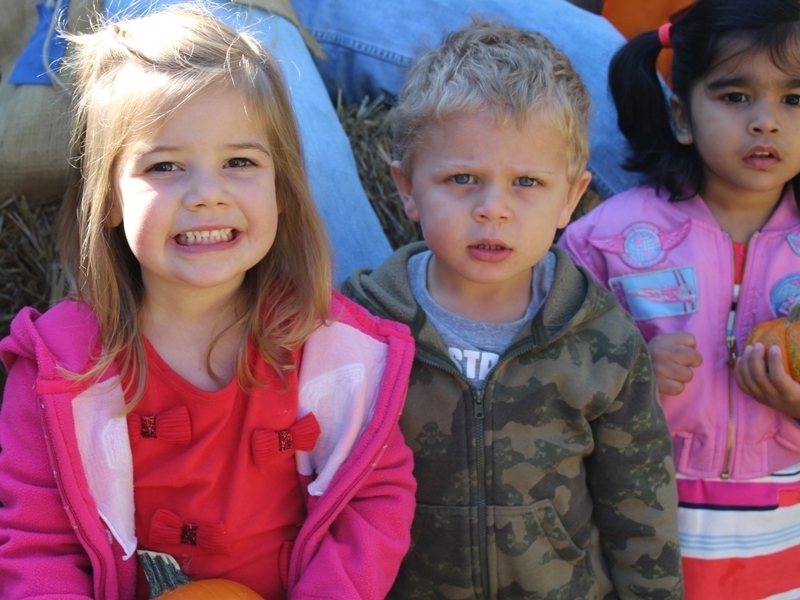 Preschool at Wood Acres encompasses three outstanding programs focused on two year olds, three year olds, and Pre-K or four year old children. Each program is distinctively unique as compared with traditional preschool programs or Mother’s Morning Out options. Wood Acres Early School students experience nationally rated, well-researched curriculum geared just for them in the areas of in the areas of early literacy, numeracy, and the physical world around them. Toss in classes in art, music, foreign language, physical education, technology, science, and the biggest sandbox in town! The Early School offers an actual “school” for the earliest learners coupled with purposeful play opportunities and socialization found in the more typical preschool programs. Wood Acres early learners are ready for so much more than mere color recognition and routine step counting. This type of preschool environment both celebrates the joy of childhood and play as well as the joy of exploring and learning actual concepts and knowledge acquisition. Wood Acres is the place to be for excellence in Early School education. To describe a curriculum for our youngest Wood Acres students is to describe all things physical, all things social, and all things emotional. From “me”, “mine”, and “no” at the beginning of the academic year to “I do it!”, “we”, and “yes” by year’s end serve as great vocabulary descriptors of basic goals for the earliest formal childhood learning experiences. In the capable hands of our experienced Wood Acres faculty and staff, Wood Acres students in the Two Year Old Program flourish in a nurturing yet invigorating early school setting. The curriculum is designed to enhance student skills and levels of understanding. Wood Acres teachers of the Two’s interweave classic children’s literature throughout the curriculum to make learning more relatable and engaging. We believe in varying “ages and stages” as children develop at different rates and developmental levels throughout the school year. We recognize each child as an individual and work to motivate each child to progress at a stimulating pace without pressure or loss of self-esteem. Current research indicates that children learn naturally in environments that stimulate curiosity, excite interest, and offer multiple approaches to acquiring the essential core knowledge for early learners. Our goal in the Wood Acres Three Year Old Program is to stimulate each child’s natural curiosity in the world around them and to encourage a love of learning using all of their senses. We use these goals as a guide for the students as they develop their early reading, mathematical, physical, social, and artistic skills. The joy for learning is evident as the students learn how to contribute to the successful functioning of their community in and out of the classroom. A student’s journey in the Four Year Old Preschool Program at Wood Acres continues to build the love of learning that enhances our students overall experience. At Wood Acres, Four Year Old students develop and grow in writing, language, and mathematical skills. They also foster physical development and self-expression through art and music and enjoy the sounds, songs, and cadence of the Spanish language. The Fours school day is longer which allows students to go deeper into the curriculum. We believe that preschool students are naturally curious about the world around them and the program at Wood Acres offers ample opportunities for creative expression with hands-on learning. Everyone works to contribute to the successful functioning of the classroom community. The overall richness of the Four Year Old Program helps students with the natural progression from Preschool to the dynamic Wood Acres Kindergarten program the following year. Our task is to help children communicate with the world using all their potential, strenghs, and languages, and to overcome any obstacle presented by our culture.